Exploring Handmade Online Holiday Shopping Event!! Today I'm going to introduce you to some Jewelry Designers. Did you know that you could give 10 jewelry designers the same pile of materials to work with and end up with 10 different designs? It's true. Everyone has their own style, techniques and artistic vision. During this event you're going to see the wonderful variety of jewelry available because I purposely selected designers that bring all the beautiful niches of handcrafted jewelry to life :) Enjoy! My love for art and all things creative dates all the way back to childhood. Through the years, I have dabbled in all areas of art. Many times, art was my escape, and secret place. I love how creating can take you away, far from the hustle and bustle of life, even if just for a moment. In 1999, I took a beginner beading class at my local bead shop. I remember the wonderful feeling of watching my ideas and inspirations come to life through beautiful gemstones, glass beads, and metals, in the form of jewelry. It was such an incredible feeling, and I was hooked! As a full-time graphic designer, there was very little spare time to allow for my creating. That would soon change. At the end of 2009, my company decided to lay off the entire art department, and I found myself unemployed, and at a crossroads in my life. After much time in prayer, deep thought, and soul searching, I knew this was it. 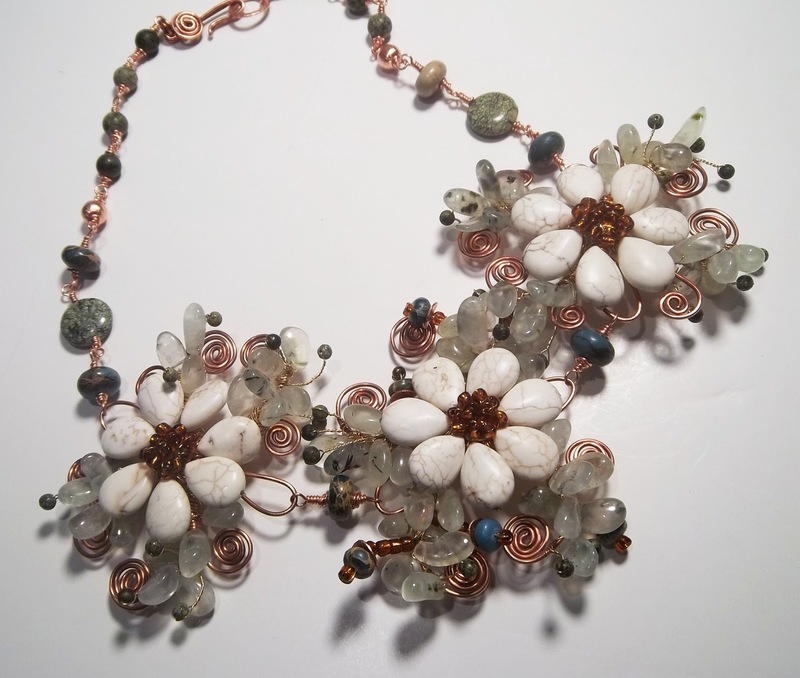 I had been given my big chance to pursue my dream of jewelry making and designing full-time. I would call my jewelry designs eclectic and quirky, as my art style is naturally drawn to those areas, and comes out in my creations. I believe that jewelry should be fun, and not only look pretty, but bring a smile to your face, and a wonderful memory to your heart. There’s enough serious in the world, we all need to add a little spark of joy and smile to our lives, so whatever I can do in some small way through my jewelry, I will contribute. Please stop by my ArtFire Shop, String Bead Studio, anytime. You can also check out my Facebook business page, where I will list any shop updates, sales, and events. Do you tweet? I’m also on Twitter: @Stringbeadstdio (yup, no U) Thank you so much for buying handmade, and for your support! I concentrate on making handmade jewelry & trinkets that everyone can afford. Whether you need something made smaller than usual or larger, that is something that is no problem for me! I feel everyone deserves to have something special made JUST FOR THEM so prices are usually $5-$40. Custom jewelry is not just for those with a lot to spend. I can make items from any materials wanted & some of those will cost more, but basic pieces are ALWAYS affordable. Whether you are looking for a pair of earrings to match an outfit, or maybe a mother's/grandmother's bracelet for yourself or a loved one, you've come to the right place. At Endless Possibilities you'll find handcrafted contemporary jewelry utilizing gemstones, Swarovski crystals and precious metals. 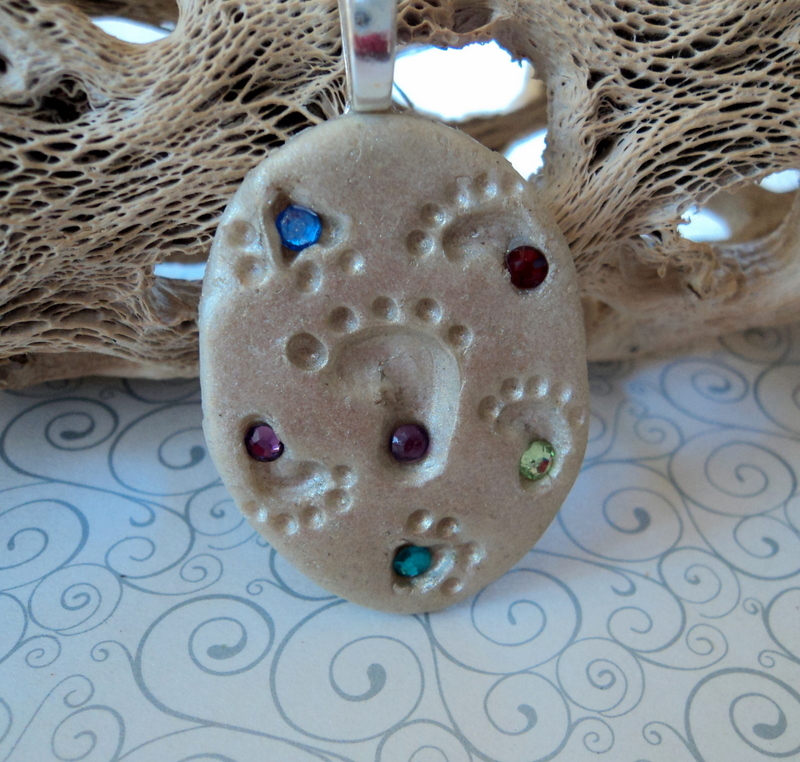 I specialize in personalized polymer clay pendants including birthstone Footprint in the Sand pendants. My name is Tonya and I'm a jewelry designer. I design a little bit of everything. 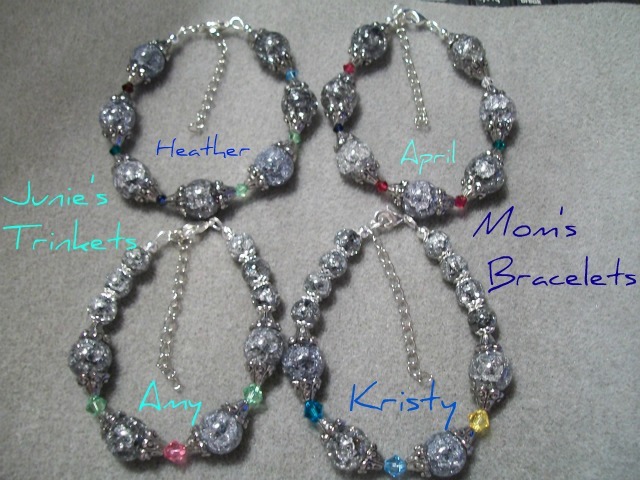 Including bookmarks, rings, bracelets, necklaces, earrings and car rear view mirror dangles for a few. 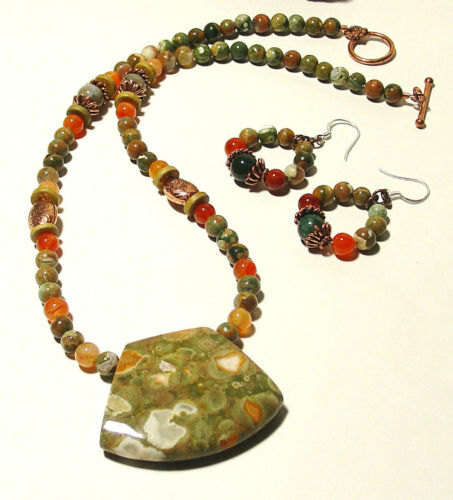 Check out my artisan made jewelry on facebook. I was born and raised in South Carolina. My mom was a homemaker who always had a craft or a project going in some corner of the house, and her restless creativity wandered from sewing Easter dresses for us, making birthday cakes for us and as a business, beading Christmas "Christmon" ornaments for our church Christmas tree, and just about everything in between. Our artistic endeavors were encouraged and celebrated, and personal expression was the norm. We were a multi-generational artisan/crafting family. My great-grandfather was a painter, whose steady hand enabled him to hand pin-stripe cars in the 1920s and 30s. My grandfather was a lapidary and a jeweler, and my mom has taken up the craft as well. 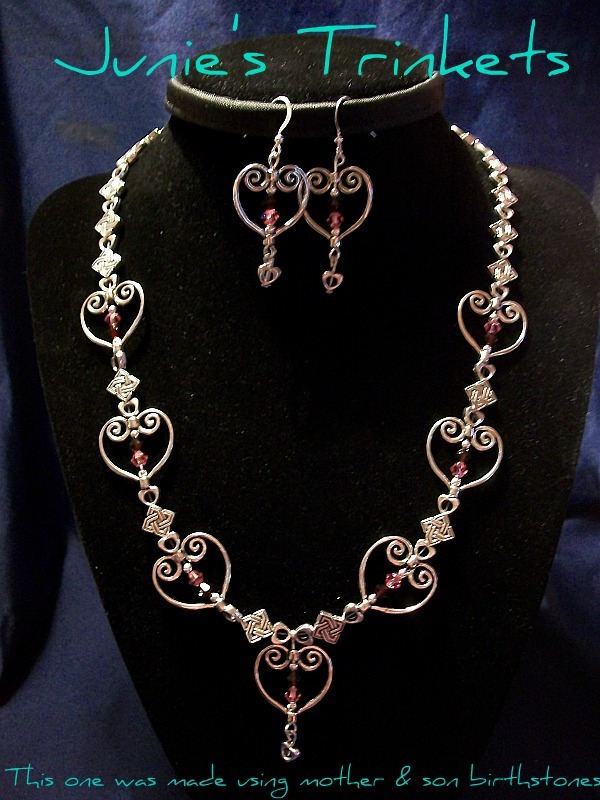 She works primarily with wire wrapping, Kumihimo and Swarovski crystals. I started making jewelry in middle school, wearing it myself and selling it to my friends. 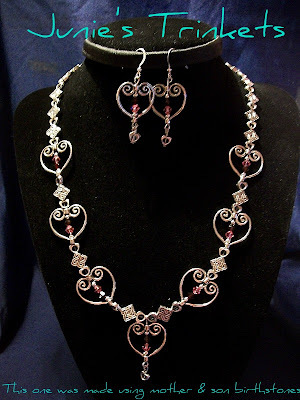 In college, I took a Jewelry 101 course, which was an introduction to metalworking, and I was fascinated! Having been a tomboy of sorts, I was comfortable using the blow torch, pliers, and power tools to create my projects. "Back then" it was too expensive for me to set up my own shop, so I closed the door on that possibility and continued artistic and business endeavors of different kinds. After starting a family, home-based business opportunities seemed like the best way to augment my income and make a little extra for the grocery store, so I explored several, with varying success. Almost four years ago, my oldest daughter wanted to make a bracelet for my mom for Christmas. I thought this might be a fun craft for us to enjoy together, so I bought a beginner's set of tools, and the materials to make a three strand bracelet (I never do anything small!). Once we were done with it, and very pleased with the results, my mind began to wander, and I began to contemplate the possibilities. My daughter soon tired of making jewelry, but I was hooked. Really hooked. I started buying massive amounts of beads, and devoured every jewelry publication I could get my hands on. 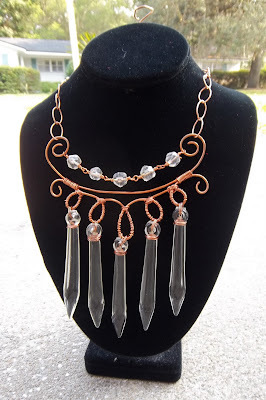 I spent hours combing Etsy and getting a feel for "what's out there" and started to develop my own sense and direction as far as styles of jewelry that appealed to me. I started my Etsy shop in May 2008, the day after another artisan told me about the web site. It's been a love affair, a passion, an obsession, and a mania ever since. More recently a nice percentage of my sales have been custom orders, and I've enjoyed intense satisfaction in creating "the one" piece for my customers that they've needed for an outfit, an event, a gift, or for their wedding. I've worked with brides and beauty queens, and with fashion designers to capture that "look" they wanted. I'm having such a blast!! I've found my niche, and I absolutely love what I do! I try to keep things natural. 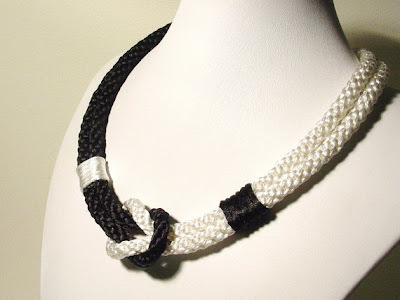 I work with natural stone for the most part but have ventured into some kumihimo braided items as well because they are simple and fun pieces. So are you excited about your gift potential yet? Good! I'm off to see what exciting things I can show you tomorrow :) See you then! Did you miss a day? It's easy to get caught up... we wouldn't want you to miss any goodies!! Jan said it, WOW! Another day of so many pretties lovingly handmade, but such talented ladies. I'm in such talented company! So honored to be a part of it! Beautiful post! What a gorgeous way to start Day 3!!! Such amazing talented artists.... and handmade to boot! Outstanding job, ladies. Debi, awesome job too....you ROCK! Wonderful and amazing jewelry! I ABSOLUTELY love that floral necklace! Just gorgeous! Those birthstone footprints are just too cute! I'm just loving the great items featured in this event! There are so many unique talents! I'm so happy to be a part of it! I'm really enjoying visiting all the wonderful artisans you are featuring each day! The work I'm seeing is amazing! Great job putting this event together! Laura's work is really amazing. I'm a fan. Always be the FIRST to know what's new and get yourself access to subscriber-only sales and promotions! I do not share my list. 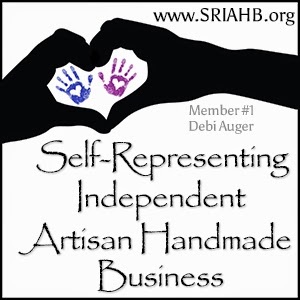 NEW Handmade Movement ~ Join Us! Happy Get to Know Your Customers Day! © Designs by Debi™ (division of Makana Mai Akua, Inc.) ALL RIGHTS RESERVED WORLDWIDE. Simple theme. Powered by Blogger.